The graph below of Blockbuster and Netflix stock prices is enough to mark the emergence of apps. Netflix, gained momentum when it launched an app for the iPad and iPhone and this led to the demise of the Blockbusters’ brick-and mortar distribution strategy. Being the first device to capture the lucrative and untapped “app” market, Apple’s Gen I iPhone was the game changer in this space. Apple’s App Store provided SDK’s to developers and harnessed this resource to develop their apps. In contrast, RIM did not use this important distribution channel and BlackBerrys did not have BlackBerry App World preinstalled on their phones until 2010. The issue was that the lack of apps did not attract customers and the lack of customers did not motivate developers to develop apps. The results are clear – Apple has about 200,000 apps, while BlackBerry has 12,000. Google was not far behind. After realising that the Gen I Android was not gaining momentum, Google partnered with hardware manufacturers such as Samsung and HTC. Krista Napier, Senior Analyst, at Canadian Digital Media & Emerging Technology, IDC Canada, says that Android is said to be the market leader in 2015, while Apple and RIM rank second and third and Microsoft gains some traction with the Windows Phone. Kunal Gupta, CEO of Polar Mobile sees apps moving from cell phones and tablets to cars and televisions in the future. Beverley Public School has made tablet devices available to children with autism, a novel use of existing technology. As Canada moves towards creating an information hub, strategic partnerships and promotion of entrepreneurial spirit among students will garner impetus. One such group, called Impact Entrepreneurship Group, is worth mentioning. There are currently 520,625 apps in the World with this number expected to double every year for the next three years. As the iPad ad states, “It’s already a revolution, and it’s only just begun”. 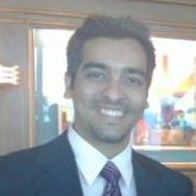 Abbas Fazalbhoy is currently pursuing his MBA at McMaster University majoring in Strategic Business Valuation. He has held several management positions in the IT arena and has worked closely with software development. Abbas currently works as Business Analyst at the RIC Centre. It was great to see you at Discovery’11 this year! I agree that the Netflix of the world will set themselves far ahead of the race by being first of their kind to become available as an app, not to mention on gaming consoles. Sadly, the app war will be the straw that breaks the RIM camel’s back.